Team Associated 5mm Bore Mod1 Pinion Gear. This pinion gear features a 5mm bore and mod 1 pitch gears. 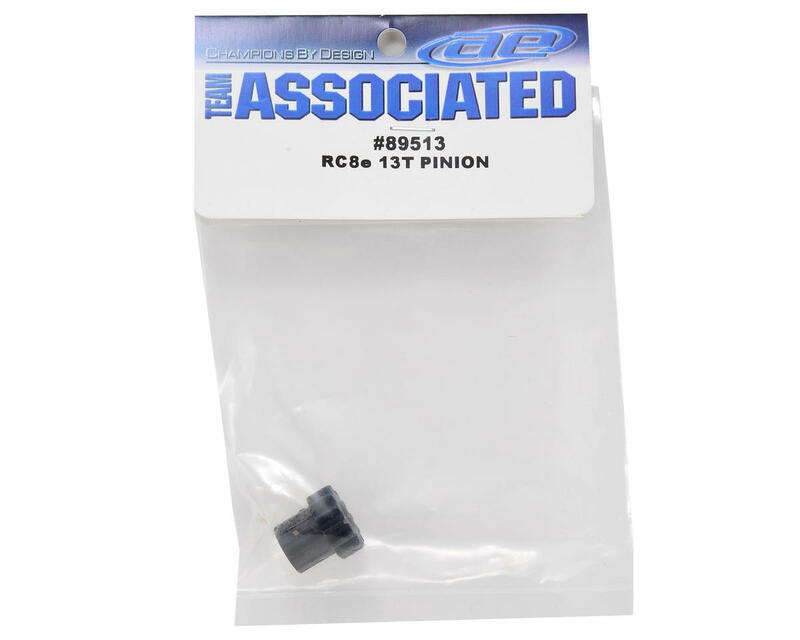 This gear is recommended for the Team Associated RC8.2e 1/8 Scale buggy and any Team Associated 1/8 scale vehicle equipped with the Team Associated e-Conversion Kit. Choose from 12 through 21 tooth options. 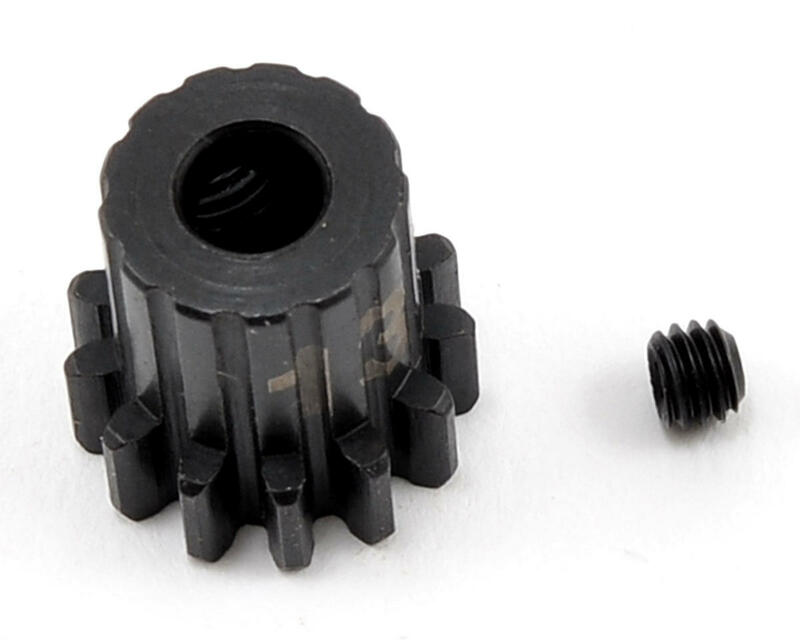 Package includes one pinion gear and one set screw.